Daniel Arzani looks set to join Celtic on loan. 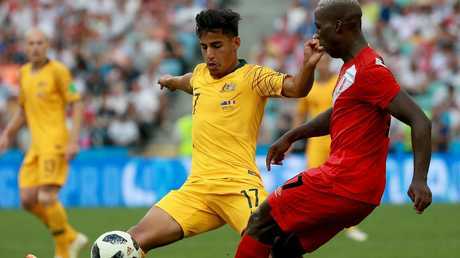 CELTIC coach Brendan Rodgers has confirmed the Scottish champions are in talks to bring Socceroos teenager Daniel Arzani on loan to the club. According to reports, Arzani is close to finalising a deal with Manchester City that would result in him being loaned out to either Celtic or PSV Eindhoven. But the Scottish club is the frontrunner to land the 19-year-old, with Rodgers describing Arzani as a "very talented" footballer. 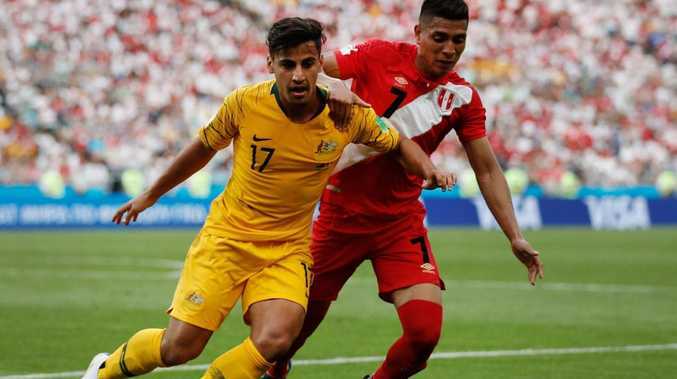 Arzani would link up with his Socceroos teammate Tom Rogic at Celtic. "All I know is that he is a young Australian, a very talented player and went to the World Cup, where he looked very, very good," Rodgers said. "The club are working hard behind the scenes to try and get some signings in. I think he's been one that has been identified. Tom Rogic and Daniel Arzani look set to link up at Celtic. "It is not my job. Let's see what players the club brings in. I work with the players that are here, develop them, improve them, that is my job." Despite being contracted to Melbourne City, Arzani made it clear he wouldn't be returning to the A-League after the World Cup, flying straight to London with his agents to finalise his next move. He made three appearances at the World Cup and impressed on each occasion, particularly against France and Denmark. It's been a rapid rise for the Iranian-born footballer, who burst onto the scene halfway through last season with dazzling displays in the A-League. Arzani was then included in Bert van Marwijk's Socceroos squad for the World Cup, where he was the youngest player at Russia 2018.